Hi! I'm still not quite back into the routine of painting my nails as much as before Christmas, so today I just have a quick swatch to share from my drafts. Following on from Monday, I have another Painted Polish, 'From Brooklyn, with Love'. This was part of the Road to Polish Con series for Polish Con New York last year, but luckily a small amount was also released on Rainbow Connection. Read on for more info! 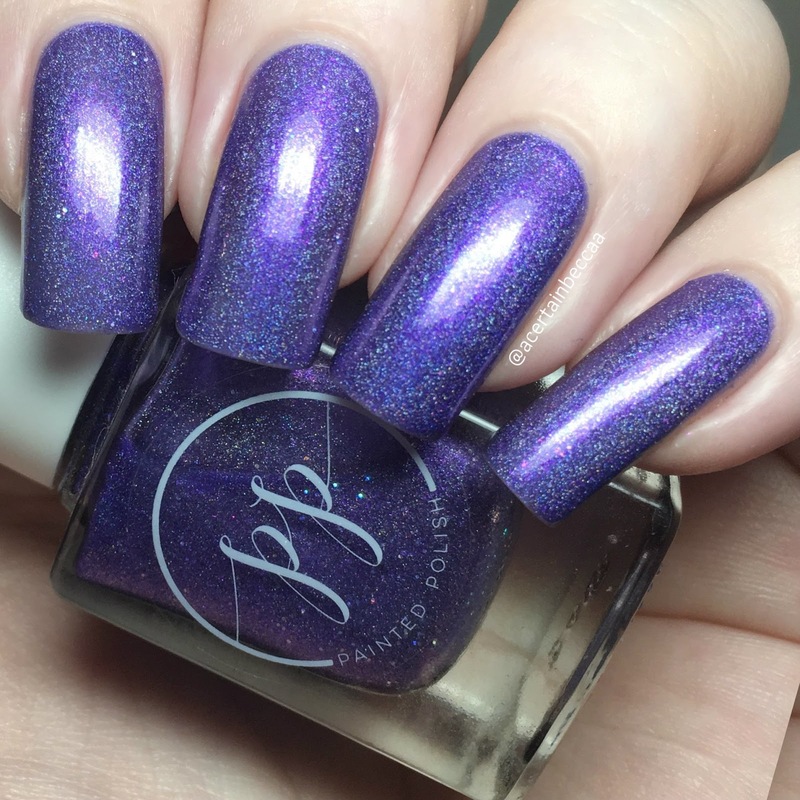 'From Brooklyn, with Love' is a shimmery purple holographic with added silver holographic microglitters. The formula is smooth and easy to apply. It does build up well in two coats, although I did find I needed a third on my longer nails for full coverage. You may be able to get it opaque in two depending on application. Below is three coats with topcoat. What do you think? I love it! I'm always a fan of purples, so this is a winner for me! I used it a base for some double and reverse stamping a few weeks back here, and I loved how that mani came out too. I do think my Painted Polish collection has grown quite large! Somehow, 'From Brooklyn, with Love' is still available on the Rainbow Connection website here!